Surfers of the web: welcome! As of December 2012, I am a Senior Lecturer in the Department of Computer Science at the University of Chicago. Computer science minors, please scroll down the page a bit. There are many Adam Shaws on the web; I'm the real one. More specifically, I am the one born at the (now shuttered) Mt. 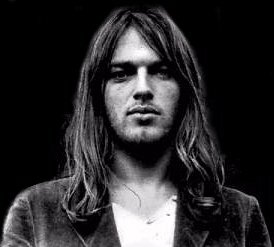 Sinai Medical Center in Cleveland, Ohio in 1972 (when David Gilmour, and countless others, looked essentially like this) and who grew up in North Branford, Connecticut. I started programming BASIC on an Apple ][+ my parents bought around 1980, when I was 8 years old or thereabouts. I wrote programs on that machine to do things like print my name 10 times, then 50 times, then 1000 times. I thought to myself: this thing has possibilities. 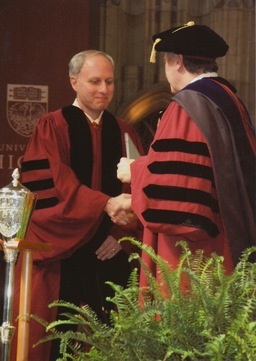 Here I am receiving my doctoral degree in August 2011. Once I have signed the form, any subsequent changes to the plan can be approved by email. If you haven't met with me yet, please contact me directly to set up an in-person appointment. Minor appointments always fit comfortably in a half hour. Are you not sure you want a CS minor? No problem: speculators, inquisitors, gadabouts and peripatetics are welcome. I love music. A lot. This is some of the music I've been listening to lately. Beethoven's Piano Sonatas. These kind of ate my summer. If you have some interest in the details of each sonata, I highly and unreservedly recommend Andras Schiff's lecture series. Spirit Island Cool anti-colonial co-op where your team gets more powerful as the game proceeds and, if all goes well, you smash the conquering gamebots to bits. Scythe Area control, resources, some combat. This game is perhaps overhyped, but it is, after all, a good one. The artwork is genuinely outstanding and sets it apart. Dominion, which I play with my brother. Last time we played, because we tied, the rules told us to "rejoice in our shared victory." And so we did.